Why can't a herd of elephants ever get really clean? Because they can't take off their trunks. 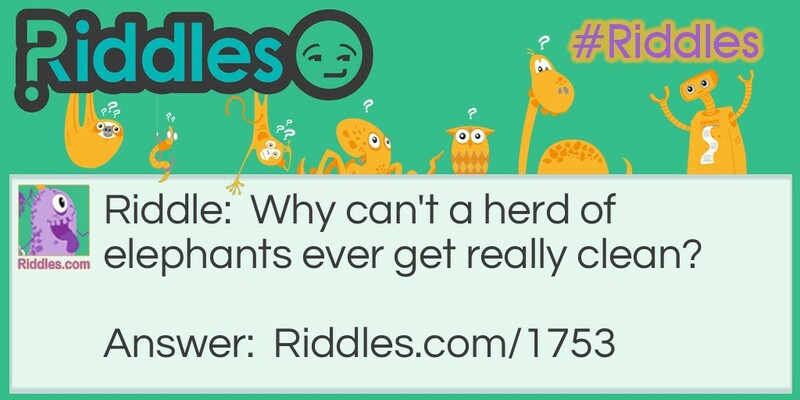 Stinky Elephants Riddle Meme with riddle and answer page link.